A fraudulent device, the McCoy Home Health Tablet, has landed Howard Leventhal in prison. 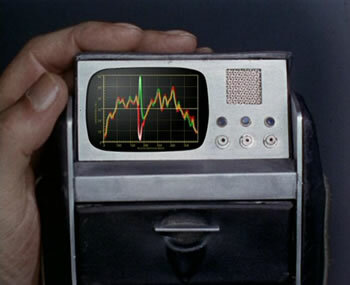 The device was named for Dr. Leonard McCoy, the chief medical officer aboard the USS Enterprise on the 1960s series Star Trek. According to Leventhal’s sales pitches, his not-even-science-fictional tablet could “instantaneously and effectively” deliver patient data to doctors. Leventhal pleaded guilty to aggravated identity theft, which carries a mandatory two-year term of imprisonment, for stealing the identity of Glenda Yeates, a Canadian deputy health minister. When sentenced on April 3, 2014, Leventhal faces up to 22 years in prison, $1,050,819.78 in forfeiture and restitution, and a fine of more than $2 million. Prosecutors alleged earlier this year that Leventhal scammed Paragon Financial Group for $800,000 by claiming it could collect money he said Health Canada owed to his company. “In Leventhal’s world, the truth was cloaked by his web of lies and impersonation. Within this alternate reality, Leventhal marketed non-existent technology, fabricated an online presence, and impersonated a government official, all to defraud investors out of very real money. His actions were the stuff of fantasy and science fiction, valid only in another dimension,” United States Attorney Loretta Lynch said in a statement. 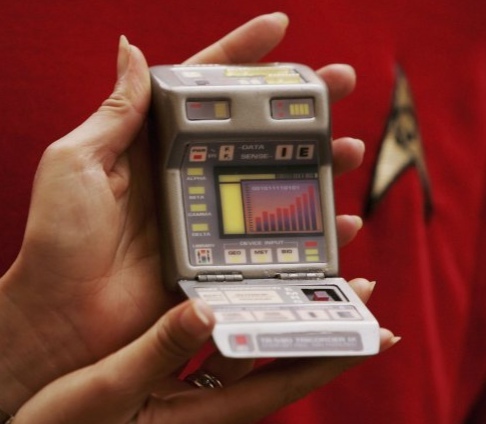 Take a look at the real McCoy - the Star Trek original series medical tricorder.